It Works For Me. Frances Evesham Shares Her Personal Writing Rules. 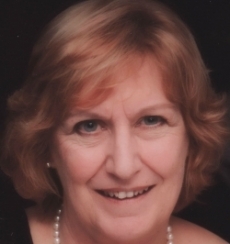 This week I am delighted to welcome Frances Evesham back to my blog to talk about the writing 'rules' that work for her. Frances has had two Victorian mysteries - An Independent Woman and Danger at Thatcham Hall - published by The Wild Rose Press and she has recently published a short crime novel called Murder at the Lighthouse. If you are a reader of cosy crime - and I am; I love it - I can tell you that this one falls into not only the culinary category but also the animal category. You can find out more about it at the end of the blog. In the meantime, Frances, tell us about your writing rules. When I was at school, our English teacher introduced a great writing project. We imagined we were all abandoned on an imaginary island. Every week we each wrote a short piece on an aspect of the island; an adventure or a description. The artistic drew pictures, the scientists analysed the rocks of the island, the botanists described flowers and the biologists, animals. The best story each week was read aloud. I struggled to write something realistic. I dismissed every idea of fantastical creatures or tales of daring as unlikely and illogical. If it wasn't likely to happen, I didn't want to write it. My stories were never chosen. We came to the final week. I threw caution to the wind and wrote a highly illogical method of escaping from the island. It involved making a bonfire in the shape of a giant SOS, setting fire to it and waiting for a plane to come along. Which it did, of course, in the nick of time, just as the food ran out and a character was on the verge of dying of blood poisoning. I handed it in, embarrassed. It was all so unrealistic. Who would believe it? Well, they loved it. The story was chosen as the best and was read to the school, and I learned what I believe to be my greatest lesson on writing. People want to believe in your stories. They long to be transported away from the humdrum world of reality into make believe. Go beyond the everyday and the sensible and your reader will come with you, so long as he or she believes in your world. That brings me to a second lesson. If you want to take liberties with time, place or reality, first make sure you know everything about your setting. I write two kinds of stories. One series is set in Victorian England, the other in a present day small seaside town called Exham on Sea. I live in a small seaside town in Somerset, so I know a great deal about that setting. I never go out without my notebook, borrowing snippets of conversation or describing a new or eccentric acquaintance. I've spent many happy hours reading about Victorian England. I call it researching, but it's rest and relaxation to me. I'm not a great one for lengthy descriptions in my writing, and I tend to skip over descriptive bits when I read other people's stories, but because I've read so much about Victorian England, it seeps into the text. Know the setting like your own home. My other tips are about the writing process itself. Susanna and I have already talked in the comments to a previous post about tearing up the first 50 pages of the first draft, as it's probably back story. This process hurts, but it gives you the freedom to start writing, knowing it doesn't matter if it's nonsense, because it's for you, not for the reader. If, by a miracle, the first 50 pages turn out to be brilliant, by all means keep them. That hasn't happened to me yet. If you know your back story, it will pop up in an odd sentence here and there, when necessary. Here's a way to keep going when you're stuck. Every day, you sit at your desk and stare at the blank space following the words you wrote yesterday. You've dusted the shelves, made coffee, tidied your desk. There's no more you can do to procrastinate. You poise your fingers over the keyboard and... nothing! Try reading yesterday's work aloud. Not all of it, just the last page. That takes you into the story far more deeply than reading the words in your head. It's so easy to skim over familiar sentences in silent reading. Speaking aloud forces you to concentrate on every word. By the time you've finished, the next sentence will be jumping out of your brain! Close the door so no one hears you talking to yourself. Love cosy crime? Feed your little grey cells on Murder at the Lighthouse, a short culinary animal mystery set in a small seaside town in Somerset. 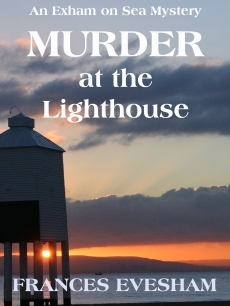 Everyone knows the dead woman under the lighthouse, but no one seems to know why she died. What brought the folk-rock star back to Exham on Sea after so many years? Who wanted her dead? Did the key to her murder lie in the town, or far away across the Atlantic? Libby Forrest arrives on the coast after years in a disastrous marriage, determined to build a new life making cakes and chocolates in Exham on Sea. She finds the body and discovers her own talent for solving mysteries, helped by Bear, an enormous Carpathian Sheepdog, and Fuzzy, an aloof marmalade cat. Libby joins forces with secretive Max Ramshore and risks the wrath of the townspeople as she puts together the pieces of the jigsaw to solve the mystery of Susie Bennett's death. Pit your wits against Exham's female sleuth and solve the mystery. The first short read in the series, Murder at the Lighthouse introduces a cast of local characters, including Mandy the teenage Goth, Frank Wolf, the baker at Wolf's the Bread, and Detective Sergeant Joe Ramshaw, Max's estranged son. The green fields, rolling hills and sandy beaches of the West Country provide the perfect setting for crime, intrigue and mystery. You make an interesting point about the different skills that are required for different types of writing, Jen. For me, nothing beats the pleasure of writing purely from the imagination. Thanks for your comments and for 'outing' yourself as a fellow back story offender! I'm another 'back story' offender so I'm happy to be in good company! The tip about letting your imagination soar really spoke to me, and is particularly important for those who also write for a day job. My first stories were almost entirely devoid of emotion because I'd spent so many years writing for corporate and academic audiences, in contexts where emotion and imagination were not part of the equation. To write fiction, I had to rediscover my imagination which was liberating and scary in equal measure. Great to have Frances back on the blog for another enjoyable post. Thanks Jan - your comment made me laugh - auto correct does that to my name all the time and I've no idea how to stop it! Sue, hope that novel gets a second chance. Have you tried Indie publishers rather than agents? It worked for me. Thanks for your comments, Jan. I must admit that you, Wendy and Frances, between you, have made me ultra-aware of back story! I stopped submitting a novel to agents earlier this year and the reason was that I decided the back story near the beginning had to be chopped, so I fully understand what you all mean. Thanks for dropping by, Jan, and best of luck with NaNoWriMo. Sorry, Frances. Autocorrect - Grrrr! I should have read the last post aloud before pressing 'submit'! Another really interesting post. I've always had a problem with writing too much back story, Frances, so that's a very good rule for me to follow. Reading stories aloud is such good advice, too. I always find things I've missed! Thank you, Sue and France's. Hi Wendy, thanks for commenting. It's so tempting to start writing without working out the back story first, but it can really get in the way of the reader. I love how your short stories say so much in so few, carefully crafted, words. I'm delighted that you're enjoying this series of blogs, Wendy. I must admit I'm learning a lot myself. I can see how culling the back story must be essential when you are writing a short story. Thanks for your comments. I'm loving this series, Susanna - so interesting. The writing rule I agree with the most, Frances, is the one about cutting the back story. It's an important rule for short stories too. Thanks for your comments, Louise. I know what you mean about boggling over the 50-pages rule. I hadn't heard it until Frances mentioned it a couple of weeks back. I can see how important it is, though. Yes, it always hurts, as Frances says, to throw away your work, but those early pages definitely need looking at very closely. Hi Louise. It really hurts to throw out any hard work at all! Thanks for coming over and commenting. By the way, Sue, if anyone reading this is doing NaNoWriMo this year, I'd like to wish them all the luck in the world. I'm still boggling at the idea of writers ditching their first 50 pages - I read it when you mentioned it a couple of weeks back. I suppose this isn't necessarily literal advice (or is it? ), but a sharp reminder to be careful with the characters' back stories. I enjoyed reading about your school experiences, Frances. It's funny how the things we have the least confidence in can turn out to be the best things we do.